What little girl doesn’t love a princess cake? A princess themed cake is one of the most requested for little girls and you can see why when you take a look at the options available.. Step inside the magical world of the princess cake…..
One of the very first cakes I ever made for a paying customer was a gorgeous princess castle cake. 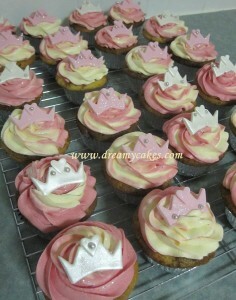 Today, the castle cake is still a popular design – I have even made them for some ‘not-so-young’ princesses! With edible turrets, tiny handmade flowers, hand painted vines and chocolate fondant castle doors, your little girl will be thrilled with all of the edible details. 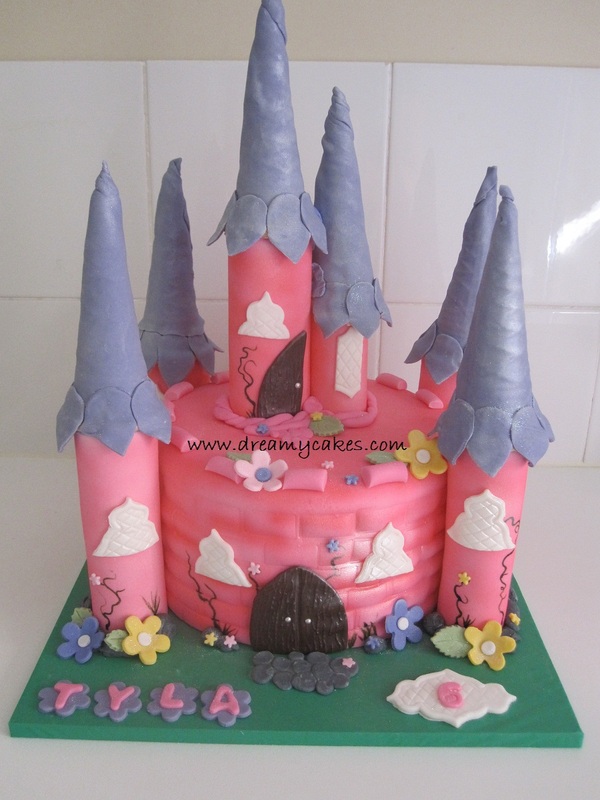 This castle cake is finished in fondant icing and dusted with edible glitter for that finishing princess sparkle. Castle cakes can be customized to any colour – pink, purple or another favourite colour. Larger cakes with a second tier can also be created to accommodate extra servings for a bigger celebration. No princess is complete without a tiara………an edible tiara! This fondant finished, 2 tier cake comes complete with an edible, handmade tiara that has been dusted in silver to add extra sparkle. 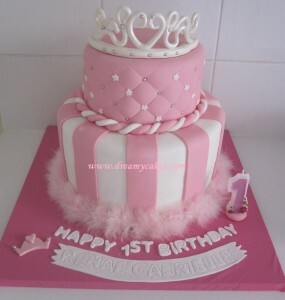 The top tier of the cake has a classic quilted effect, while the bottom tier features candy pink fondant stripes. 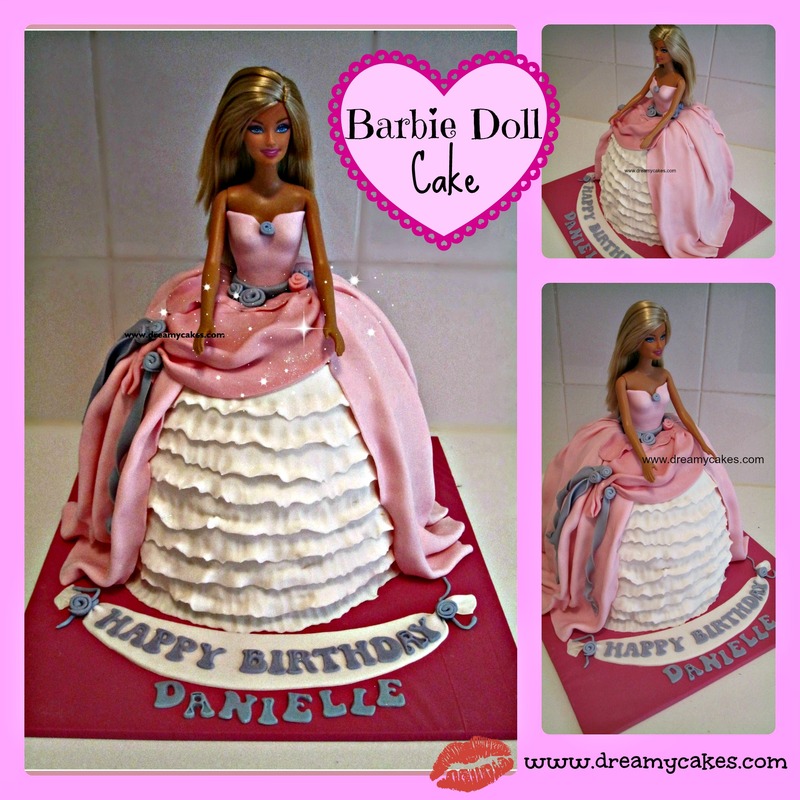 The last of our princess cake designs is the classic Barbie cake. Featuring a full pink skirt with fondant ruffles and finished with tiny, hand made purple roses – this Barbie cake will be the centerpiece of the party. 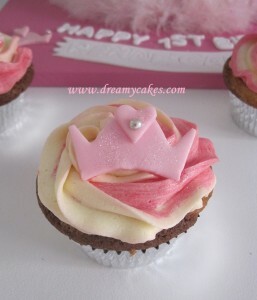 You can choose any colour for the Barbie’s dress; add a crown, sparkly wand and edible wings to make it a fairy princess.